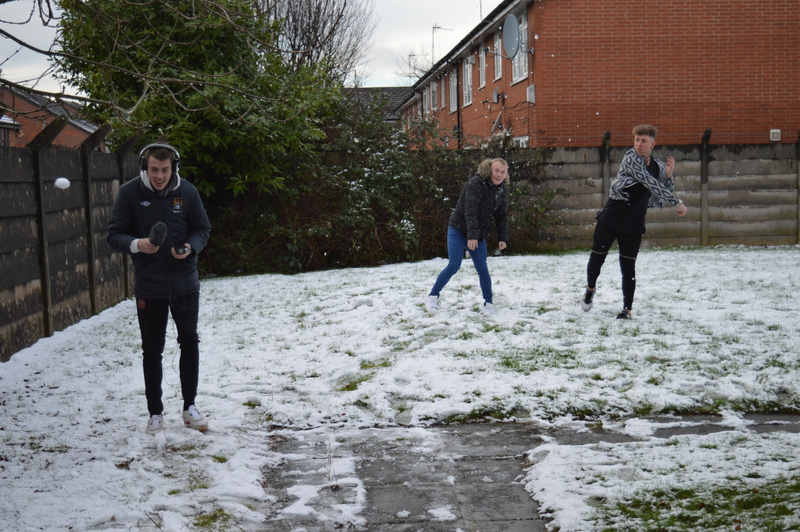 It snowed this week so of course we had to film a snowball fight! Look how professional Juppy is being protecting the sound equipment! But we did get some real work done too. Here you can see the film crew – Sound Operator, Camera Operator and Director as well as Jacob and Zak being interviewed.